Check this page for more information or simply send an email to sara@portoalities.com. If you’re still trying to figure out where to stay in Porto, then welcome! 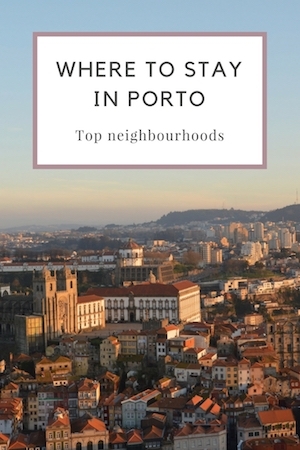 I started getting so many emails asking that same question that I decided to write an article about the four best neighbourhoods to stay in Porto. As an inspiration, I used this map where the neighborhoods in Porto are clearly marked. 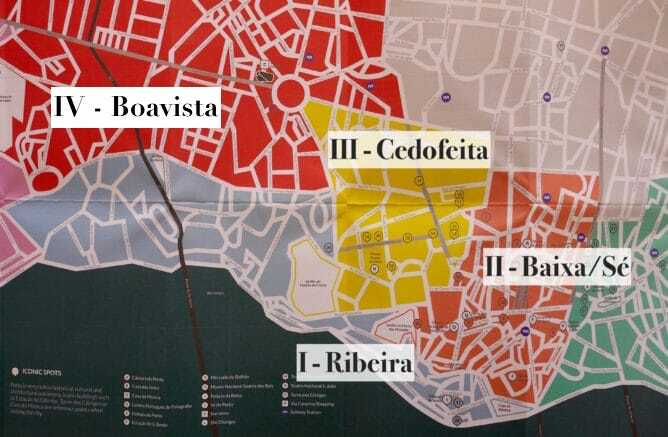 I am going to write about my top four neighborhoods to stay in Porto: I – Ribeira (light blue); II – Baixa/Sé (orange), III – Cedofeita (yellow) and IV – Boavista (red). 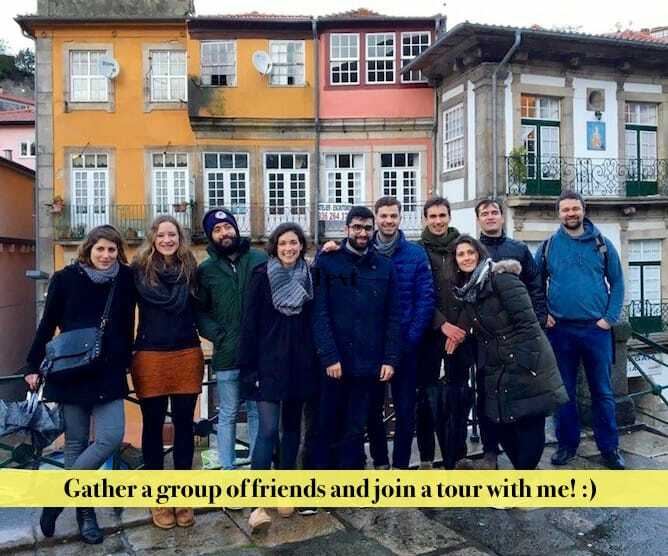 Whether you are on a romantic getaway in Porto or on a party weekend with friends, on this guide you can find useful info on main attractions, where to stay and where to eat at each of these top neighborhoods to stay in Porto. I hope you like it! If you don’t want to stay in a hotel and would rather stay at an apartment, check our article about the Best Apartments to Stay in Porto! 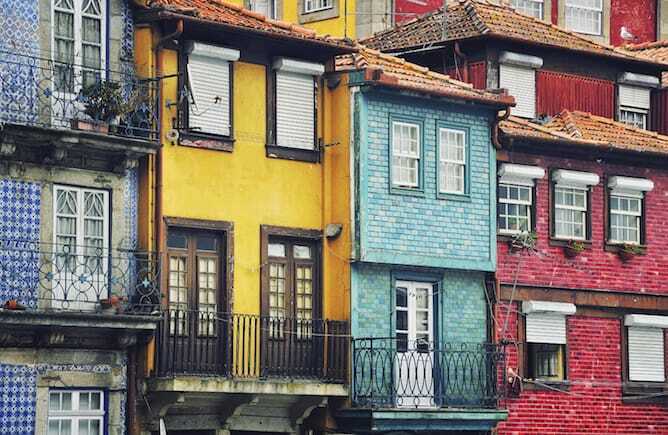 Overview: Ribeira is a picturesque neighborhood in Porto by the riverside, with tiny houses painted in colourful tones. Ribeira is always packed with people, as it has many souvenir shops, restaurants and bars with a view towards the Douro river. 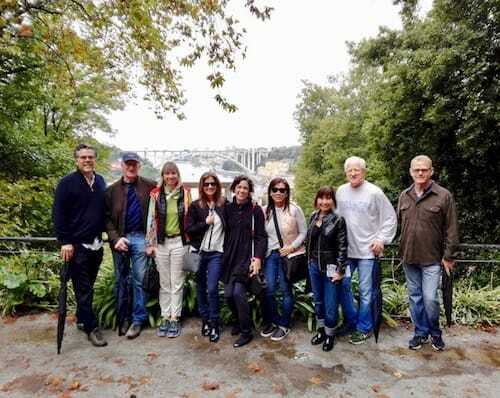 At Ribeira you will be close to D. Luís bridge, the famous iron bridge of Porto. 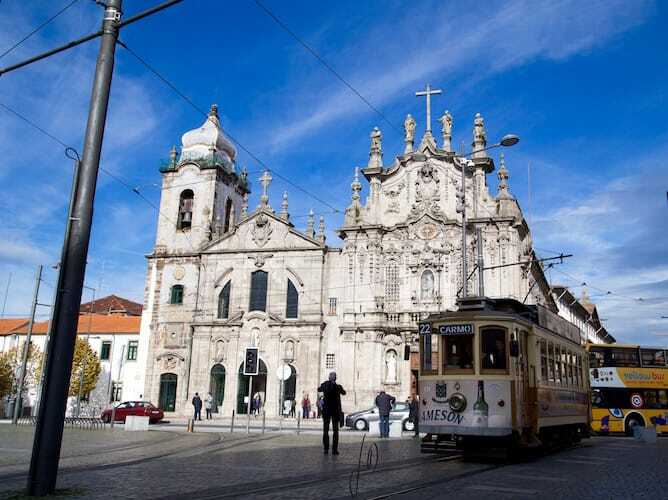 You will also have a premium location to visit the Stock Exchange Palace and St Francis Church (a stunning example of Gothic architecture in Porto). 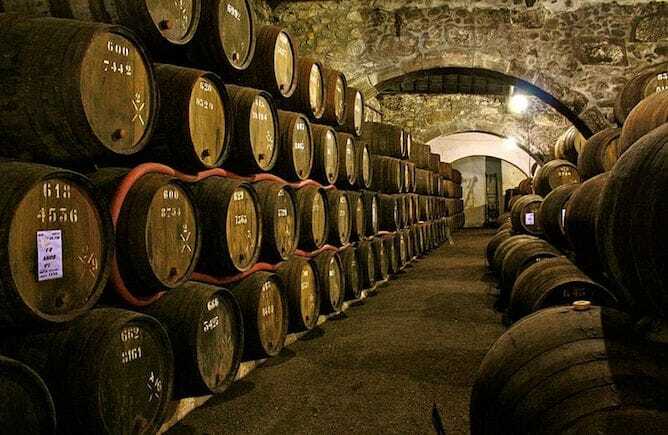 Moreover, at Ribeira, you will be able to walk to the famous Port wine cellars. It is also a beautiful place to go on a tram ride – check my detailed guide on tram lines in Porto. Ribeira is the best neighborhood in Porto for: elder travellers (as it is a flat area); travellers who don’t mind crowds and confusion. There’s plenty of accommodation at this neighborhood in Porto. If you are looking for a superior experience I strongly recommend you Pestana Vintage Hotel. It has spacious rooms with a fabulous view of the Douro river and the Port wine cellars. If you’d rather stay in an apartment, I suggest you Porto River as it has the most charming and romantic atmosphere you can imagine! Each bedroom has its own kitchenette so that you can prepare your meals if you want to. It’s simply perfect! 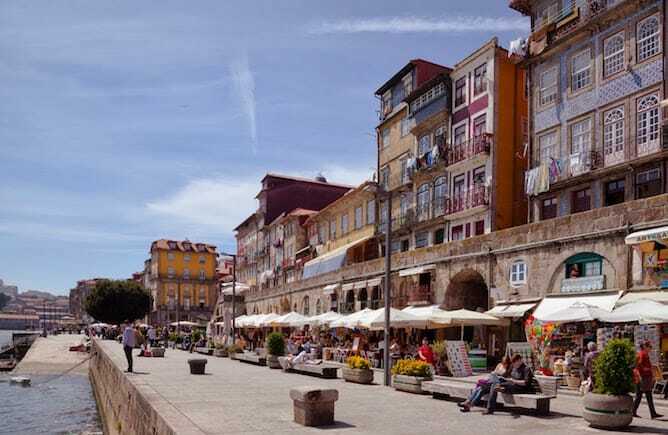 Places to eat in Porto – Ribeira: Ribeira is very touristic, so in my opinion, it is not the best neighborhood in Porto when it comes to eating out. Nonetheless, I have a few suggestions for you. I love the restaurant inside Mercado Ferreira Borges, one of the oldest markets in Porto. There you’ll find plenty of petiscos as well as good pizzas, and the atmosphere is great. There is also RIB Beef & Wine, a great restaurant for meat lovers. A great for wine is Prova, one of the few wine bars in Porto. For more information on this bar, check my list of best bars in the city. Overview: Baixa/Sé is a neighborhood just above Ribeira. At this neighborhood in Porto you’ll find plenty of monuments, such as Mercado do Bolhão (the last traditional market of Porto), São Bento train station and Lello bookshop. 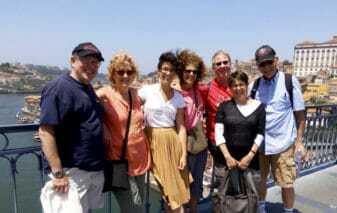 Baixa/Sé is the best neighborhood in Porto for: solo travellers; young couples; group of friends travelling together. There are many options at this neighborhood in Porto, so I will name the ones that I enjoy the most. 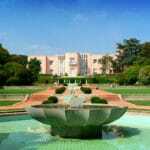 Starting with the hotels: Intercontinental Porto – Palácio das Cardosas is magnificent! This five star hotel, located at an eighteenth century building, is 5 minutes walking distant from the nightlife district and the main attractions of Porto. 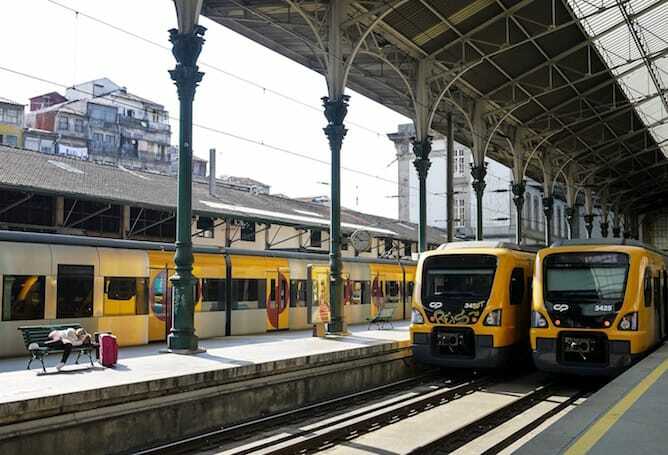 It has two subway stations just across the street, as well as São Bento train station. Besides the spacious rooms, it has a fitness centre, a spa and a trendy bar. If you are looking for a romantic hotel in Porto, my suggestion is Flores Village & Spa. 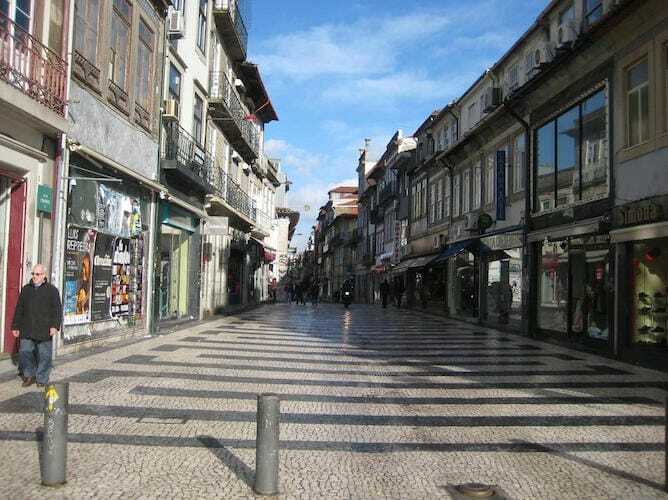 It is located at Rua das Flores, the trendiest street in Porto. It has both bedrooms and independent apartments. It has a peaceful garden on the back as well as a-ma-zing spa & sauna facilities, which include an indoor pool. It is ideal for a romantic getaway in Porto and for families with kids. If you are looking for an accommodation for the best value, I suggest B The Guest Downtown. The decor is very elegant and the location is quite convenient. 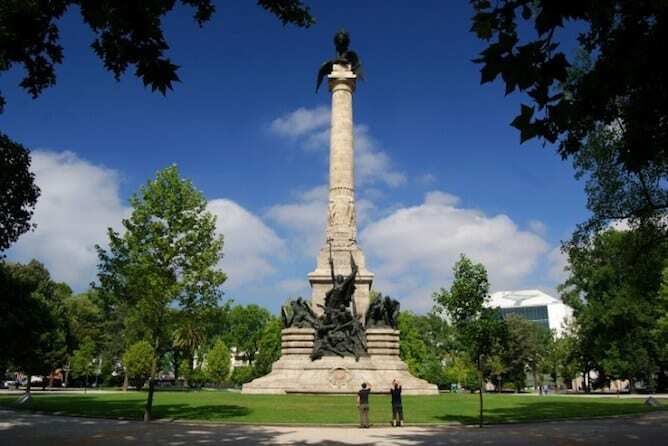 If you are looking for an independent apartment in this neighborhood in Porto check Bolhão Nobre apartments, BO – Almada 346 lofts and studios and Oportolazaro apartment as they are all great places. 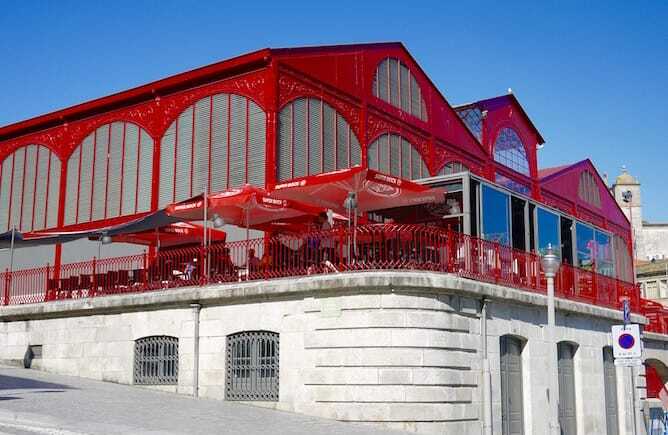 Places to eat: This is one of the best neighborhoods in Porto for eating and drinking. 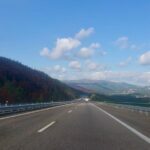 Here you can find the best restaurants to eat Portuguese food on a low budget in Porto, as well as the best restaurants to eat francesinha, the most famous dish of the city. 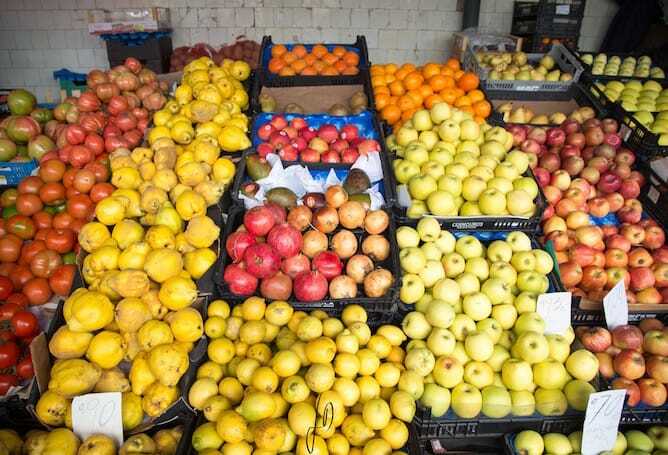 Moreover, it is a great neighborhood in Porto to do some shopping at the traditional grocery shops of Porto, where you can find the best Portuguese food products. Baixa / Sé is also one of the best neighborhoods in Porto for partying – check here my guide to drink on the cheap in the city, as well as my list of the best bars of Porto. 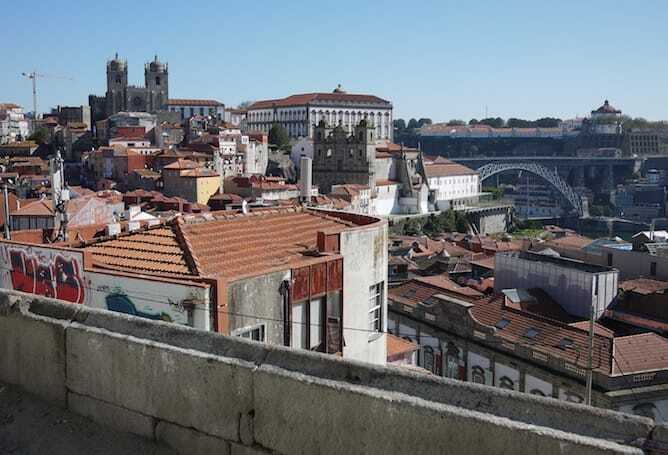 Overview: Cedofeita is the trendiest neighborhood in Porto as it has an art district at Rua Miguel Bombarda, full of art galleries and concept stores. 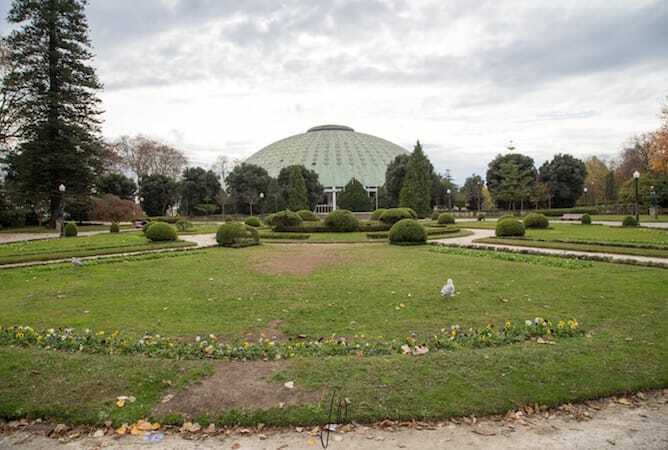 At this neighborhood in Porto you can go for a romantic walk at the Crystal Palace Gardens, located in front of Museu Nacional Soares dos Reis, one of the best museums of Porto. 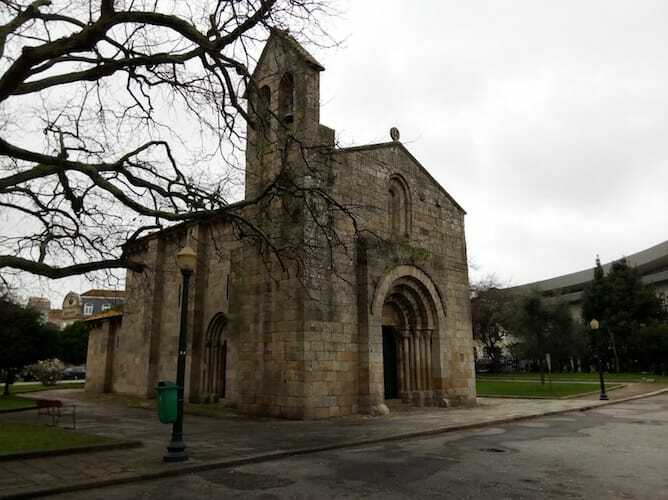 Another interesting spot is Igreja de S. Martinho de Cedofeita, the oldest church of Porto. Usually tourists never stop there, but it is worth to take a look! Cedofeita is the best neighborhood in Porto for: Family with kids; travellers who want to be close to the main city attractions but on a quieter location; couples on a romantic getaway in Porto. Cedofeita is the best neighborhood in Porto for a romantic getaway as it has superb hotels for couples. I recommend you to take a look at Rosa Et Al, a lovely guesthouse famous for its insaneously good brunch (so good you need to book in advance!). Rosa Et Al’s suites combine modern design with a vintage twist. It has a lovely dining room facing the backyard garden, as well a a little concept store. 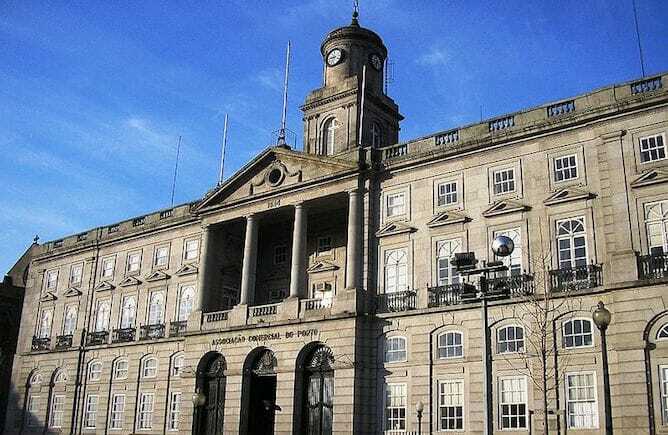 If you prefer to stay in an apartment, I suggest you Oporto Serviced Apartments bbgourmet. The apartments and studios are very large and can easily accommodate families with kids, or two couples. Below the apartments there is a nice restaurant with a terrace facing the street, where you can enjoy a drink after a day walking in Porto, as well as delicious brunch on the weekends. Another suggestion for apartments at this neighborhood in Porto is bnapartments Carregal, a hole on the wall! These 16 apartments on a seventeenth century building have a perfect vintage decor and access to a large swimming pool. Bnapartments Carregal are superbly located on a tiny alley close to the nightlife district, but it is very quiet. It’s splendid! 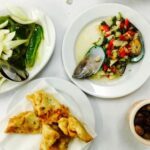 Places to eat: I recommend you Adega do Carregal, a typical Portuguese tavern that was featured on my post about best restaurants in Porto for large groups. There is also a concept shopping mall called Centro Comercial Miguel Bombarda, where you’ll find two fabulous budget restaurants called Sabores & Açores and Pimenta Rosa. Also at Rua Miguel Bombarda, there is a great burger place called Bugo – Art Burgers with nice lunch menus. It’s worth to check it out! 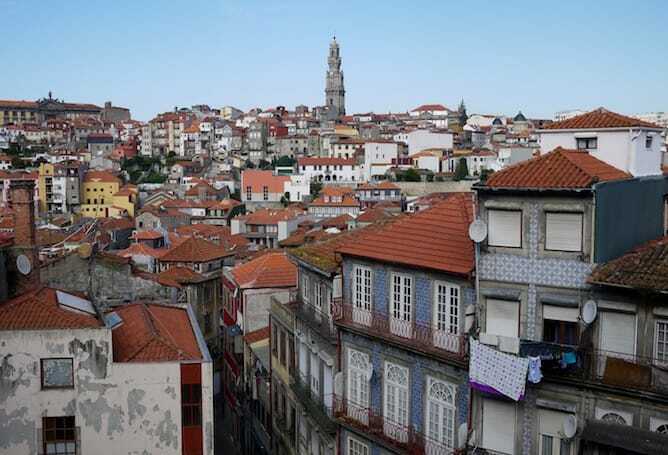 Overview: Boavista is a more business oriented / posh residential neighborhood in Porto. 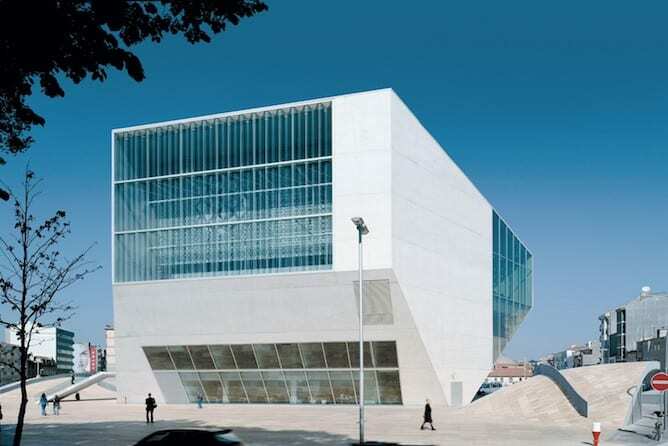 Despite being a bit away from the city centre you can still find great places to visit in Boavista such as the modern Casa da Música and the contemporary art museum Serralves (designed by the famous architect Siza Vieira). Another great spot is the Gallery of Biodiversity, the best museum for children in Porto. From Boavista you have a subway connection to the city centre at Casa da Musica. There you’ll find also plenty of bus lines. 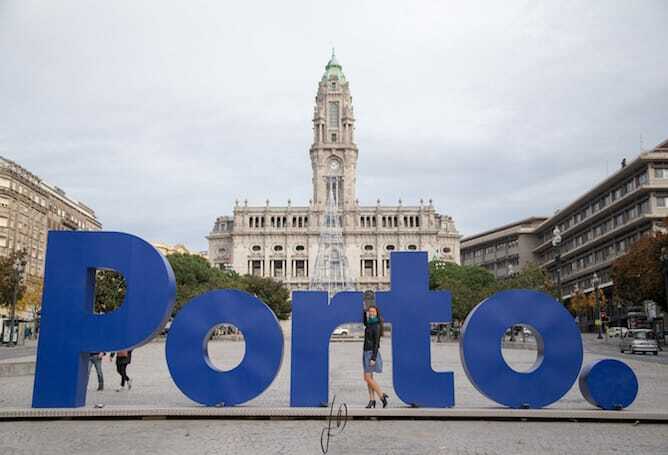 Boavista is the best neighborhood in Porto for: Senior travellers; travellers who want to be close to the main city attractions but on a quieter location; businessmen visiting Porto. Boavista is famous for having the best corporate hotels in town, such as the stunning Sheraton Porto – Hotel & Spa, the Crown Plaza Porto and the Porto Palácio – Congress, Hotel & Spa. And speaking of Boavista, this is where the only kosher hotel in Porto is located, called Hotel da Música. If you prefer to stay in an apartment, I suggest you to try either LoftAbroad Premium Apartments (more suitable for families or for large groups looking for a great place to stay in Porto!) 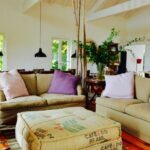 or BessApartments – beautifully decorated departments ideal for couples. Places to eat: When I am in Boavista I really like to go to Mercado do Bom Sucesso, a recently renovated fish market as it has a lot of food stalls ranging from petiscos (the Portuguese word for tapas) to pizzas, risottos, vegetarian food and even sushi. It’s also a great place to grab a cocktail or a glass of wine before heading to your hotel. 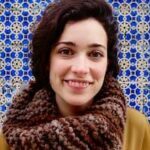 Close to Casa da Música you have two of my favourite Sunday afternoon cafes, called Casinha Boutique Café (great for a lazy brunch) and Arcádia (it has an insaneously good hot chocolate! ).